Chicago Scooter Company is Genuine Scooter's budget brand, but don't let that word scare you off -- the GO is packed with quality components and features that make it a great value. 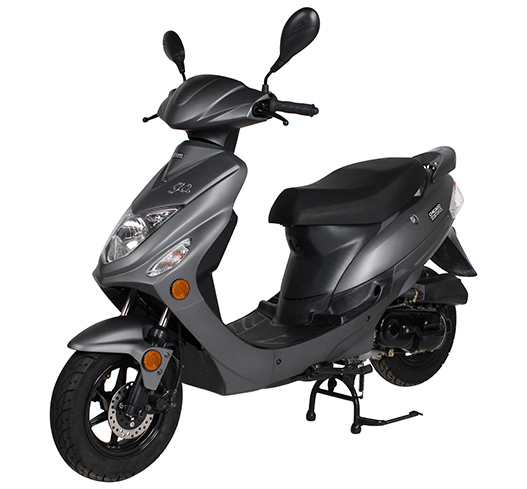 The GO includes a classic 4-stroke automatic engine, fade-resistant paint, upgraded electrical components, alloy rims, and a 1 year warranty. If you're looking for a short-distance commuting scooter for your neighborhood, campus, or campground, the GO is a solid contender. It doesn't have the speed or upgrades of other scooters, but it's definitely the best scooter under $1200 that we've ever sold. Contact us today for more info on the "GO"